Kidsfirst Phillipstown is a melting pot of culture and ethnicities and endeavors to respect and celebrate this rich diversity. 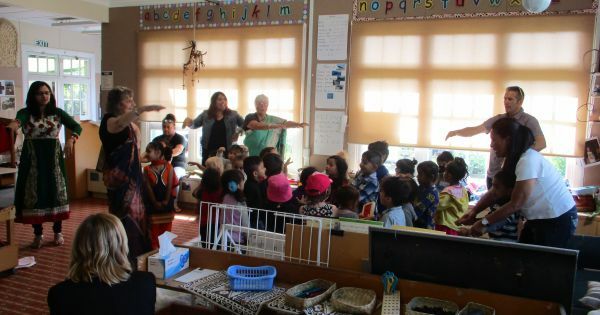 The cultural diversity of families across the Kidsfirst network is incredible and we know the value of sharing each of our families uniquely different traditions at kindergarten. Often we find that what is a familiar family experience for one child is completely new and fascinating to another. Diwali, meaning “rows of lighted lamps,” is the biggest and brightest festival on the Hindu calendar, celebrated over five days in October or November each year. Traditionally, family and friends gather to celebrate with brightly lit candles and lanterns, dancing and food. Kidsfirst Phillipstown is a melting pot of culture and ethnicities and endeavors to respect and celebrate this rich diversity. To celebrate Diwali, tamariki created colourful tea light lanterns and had their hands painted with decorative henna. 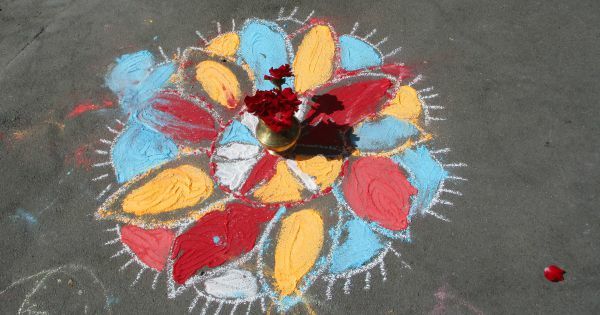 Parents helped craft a rangoli, an art piece made with coloured sand (also flour, rice or flower petals) laid out in intricate patterns on the ground. Thought to bring good luck the designs of rangoli are passed down the generations to keep both the art form and tradition alive. Traditional rangoli art laid out in colourful, intricate patterns on the ground. 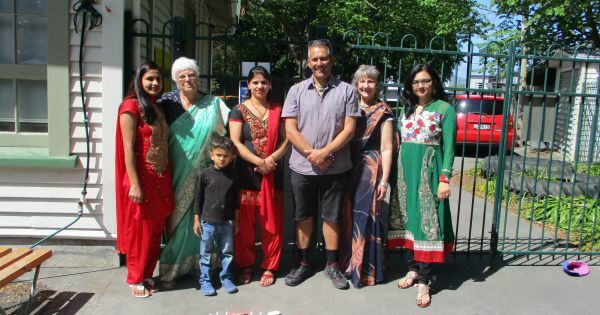 Kidsfirst Phillipstown teacher, Bindu Naik talks about what celebrating Diwali at kindergarten can mean for tamariki. Kidsfirst Phillipstown teachers and parents enjoy Diwali celebrations. Teacher, Bindu Naik is far right next to head teacher, Kathy Harford and the two parents in red sari created the rangoli art. Bindu also commented on what celebrating Diwali at kindergarten means to her on a personal level. Bindu said it also gives her the confidence to showcase the music and artefacts of her culture, such as traditional sari dress and bindi (coloured dot worn on the centre of the forehead) because she knows it is acknowledged, respected and loved. Tamariki gave a special waiata to welcome guests and whānau to their special occasion.